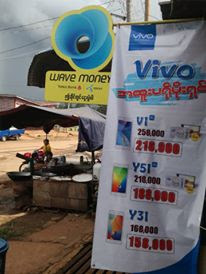 Mobile Money Asia: What are the trade-offs necessary for financial inclusion in G2P Payments? What are the trade-offs necessary for financial inclusion in G2P Payments? We all know the mantra that financial inclusion will bring benefits to the poor by allowing them more access to savings as a protection against risk events and credit as a way to improve their livelihoods, but what are the practical considerations that are involved if we try to use a G2P (Government-to-Person) payment to increase financial inclusion? The report looks at the demographics of recipients and finds that they are a heterogeneous group, so there may be no “one size fits all” approach to paying them. This presents a quandary for the administrating agency, who would prefer a standardized approach in order to deal with the large-scale payments. 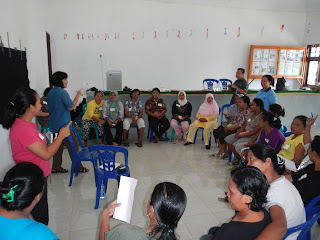 PKH Recipients attending a Focus Group Discussion in North Sulawesi. In analyzing the migration of services to bank accounts, there were a number of logistical issues that caused major headaches to the Ministry, the bank and recipients. For example, the names registered with the Ministry of Social Affairs and printed on the program ID cards didn’t always match the names on the official ID cards of the recipient. A postal account payment was flexible enough to deal with this, but bank processes weren’t and often meant the beneficiary had to apply for new ID cards in order to access their money. Despite all this, the majority of beneficiaries are happy with their current payment services. This might seem like a non-statement – people are happy when they receive money, and have never experienced a better alternative. A closer look at the data, though, indicates that some recipients in remote locations spend up to 30% of their received payment on travel costs. Surely agent banking or mobile money can make an improvement here? Although Indonesia now has a mobile penetration in excess of 100%, it is still a long way off the universal access needed to make payments to the poorest of the poor. According to this report, 75% of households have a phone, but that still leaves 25% who would be unable to access the service (without a tedious process of keeping an active SIM card available). More importantly, PKH payments are distributed to female household heads, and only 20% of the recipients state that they are the owner or main user of their phone. Making payments to mothers is a crucial feature of Conditional Cash Transfers, and a migration to mobile money might undermine this if the program requirements are not made clear. The news from this report is not all gloom and doom for mobile money, though. Indonesia is currently testing some pilots for Branchless Banking, and the Guidelines issued by Bank Indonesia make specific reference to G2P programs, for example by using the PKH identity cards as sufficient ID to open an account (despite the lack of a photo on the card), many of the name-matching problems currently experienced will be eradicated. The Government of Indonesia has stated that it would like to expand the PKH program to three million households by 2014. With a potential regular payment stream this large, there are sure to be payment providers who are willing to adapt their services to this market. A high level of understanding of the customer (both the beneficiaries and the organization making the payments) will be key to success.